It’s been a big emotional week here, and it’s taken me surprise. 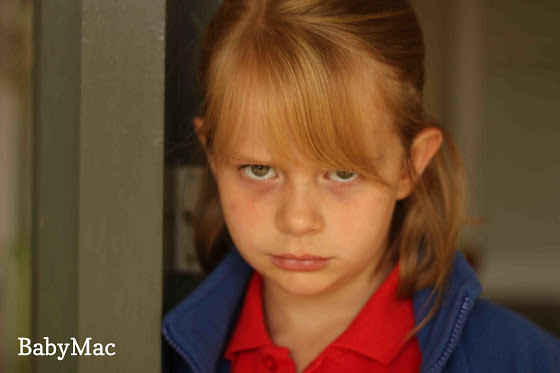 Daisy has just over a week of Primary school left and it’s really hitting me hard. 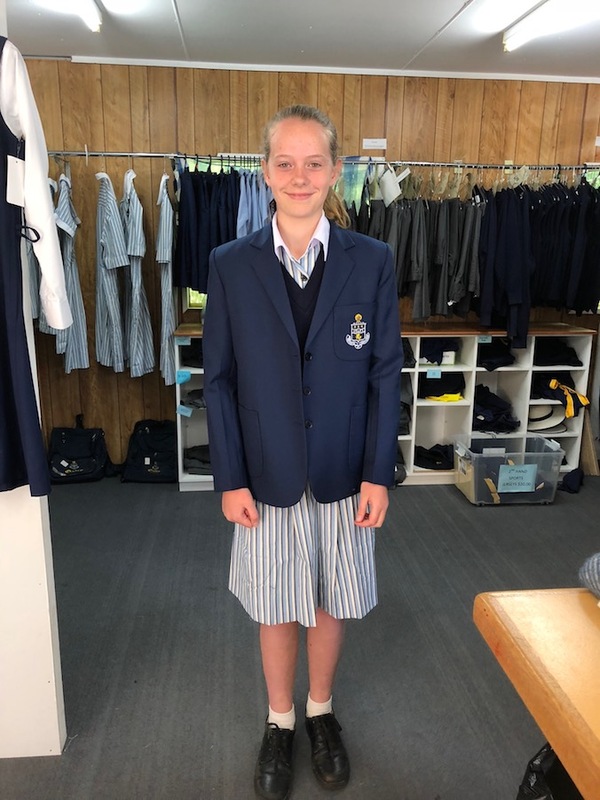 On Monday we had our high school uniform appointment where I had to go and spend an extraordinary amount of money on uniforms and then sob when I saw her in them. Emotional AND expensive! How did this actually happen. I mean truly, how?! 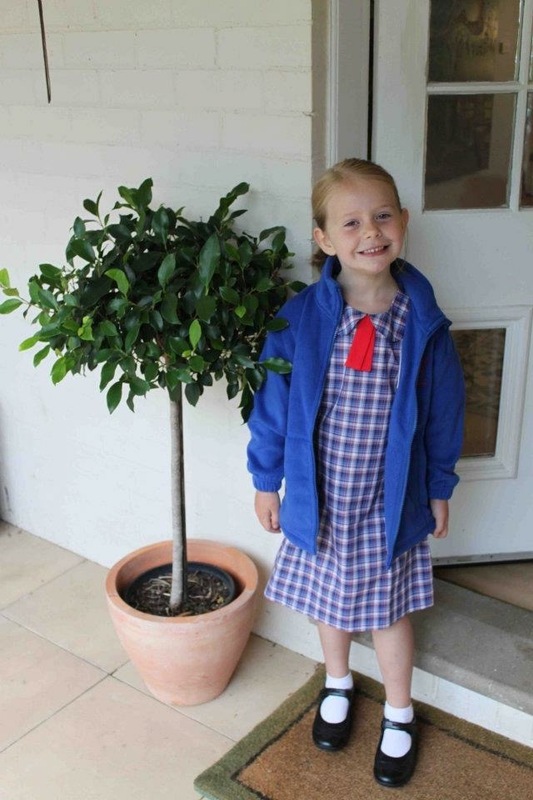 I cried some more when I paid for the full kit (can someone explain to me how school blazers cost over $200 when they are not made from the finest Italian wool?! HOW?!) I mean I know it will last and last, but seriously, HOW? Then in the evening we had her graduation where all the school kids and families (being in a small school that means that’s not that many people) for a dinner and a presentation where there were speeches and songs sang, presents given, and then a slide show where I saw her primary school years flash before my tear strained eyes. Mum and Lucy were there with me and were also crying (as was Daisy mind you). I sat with tears pouring down my cheeks and literally holding in proper sobs because I thought that I might go hysterical. All those years from 2012 to 2018 are done and we are about to embark on something much bigger. What seems more important. Like the BIG stuff that will shape and make the person that they will be. I don’t feel ready. I feel panicked that we aren’t up to the job. I am having that same anxious feeling I had when they said we could take her home from the hospital after she was born…I’m not ready, I don’t know what to do, I’m not ready. Whether we are ready or not, it’s coming, and there’s nothing much we can do about it. We can talk about ALL the feelings we are feeling with each other (I have been openly telling her how nervous and scary it is for me, so it must be for her too). We can cry. We can remember the good times and we can get excited about the adventure of what is to come. I know that she going to blossom in her new high school. Her whole WORLD is going to open up and I know she is going to make the most of every single opportunity. I cannot believe that Rob and I are old enough to have a kid in Highschool (even though I actually feel like I left 10 years ago tops). It just feels like we are about to head into the great unknown. And we are so ready and not ready at all and terrified and excited. All of us. Lucky we have a kind, funny, compassionate, patient, smart kid who can show us the way. And like I wrote in this post when she started school back in 2012, the wise words of Bob Dylan ring true. Got any tips for me for surviving our first year of High school? Anyone else feeling emo about this stuff? How can Daisy be 11 and look this grown up you guys? Omg how grown up does she look! My Mr 12 is graduating next week and I’m already borderline hysterical about it. I’m a cryer usually so I know I’ll be choking back the sobs next week. The parenting thing — difficult at times. 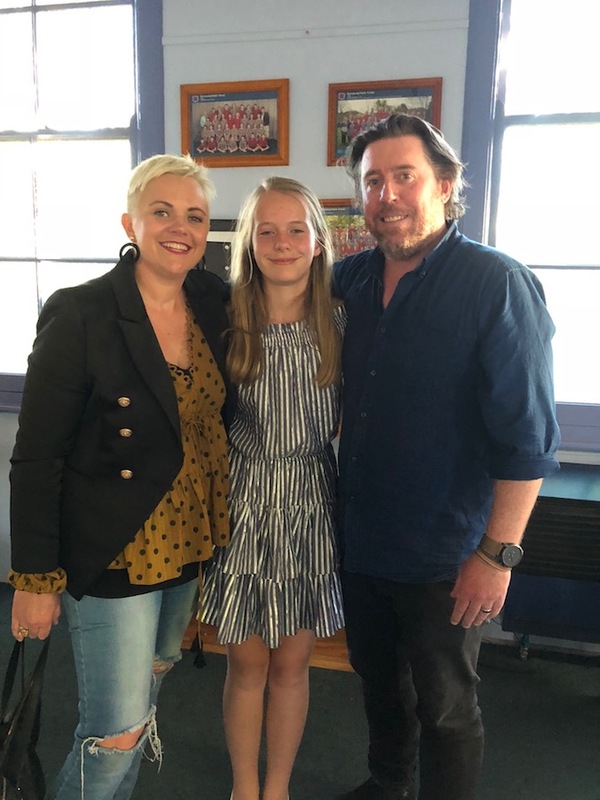 My daughter is graduating Yr 12 and is 5 ft 9 or something – taller than me – way prettier. Oh god Beth, I am right there with you. 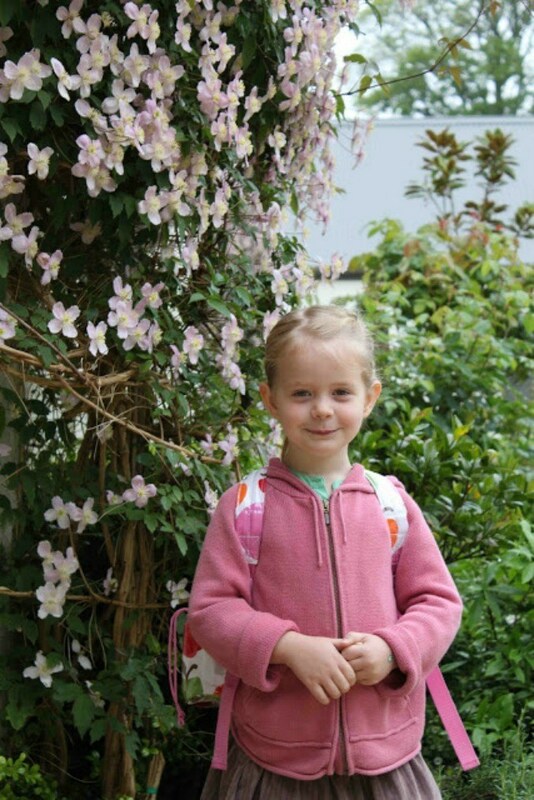 I was sobbing away in bed this morning at the whole thought of Miss G finishing primary school in a week and a half. Tears. She’s as cool as a cucumber about it all, going through the high school info pack and checking off the timeline. Luckily we’ll just have a trip to Lowes in late January to get her kitted out. The monkey will probably grow between now and then. Last assembly today, Presentation Day, Year 6 Farewell and all the rest next week. Lots of tight hugs! My eldest just finished year 12 (emotional level x 100000000). His headmaster read that Bob Dylan poem at the final graduation ball – so I obviously just cried again reading it. You may not be ready but it seems that Daisy is, so you’ll all be fine. You’ve done a great job with all your girls so perhaps you’re more prepared than you realise. This parenting thing is tough – you finally get good at one stage only to be shoved onwards and upwards to the next one. 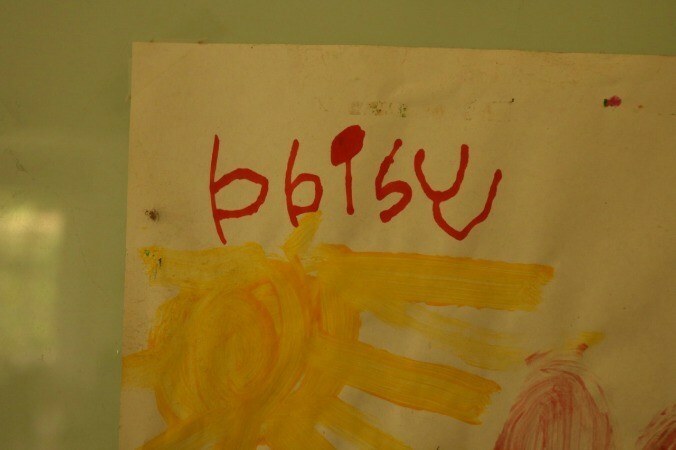 While we got through it very well, I found high school much tougher than primary school. 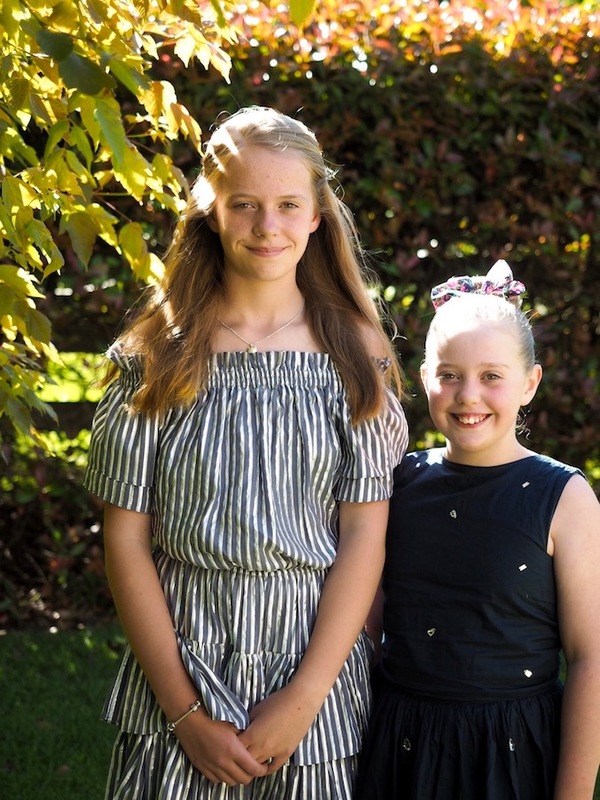 Adolescent girls aren’t always nice to each other or themselves and I was much less involved with my daughter’s school life, especially after Year 7, which is how she wanted it, how high schools work and probably how it should be. 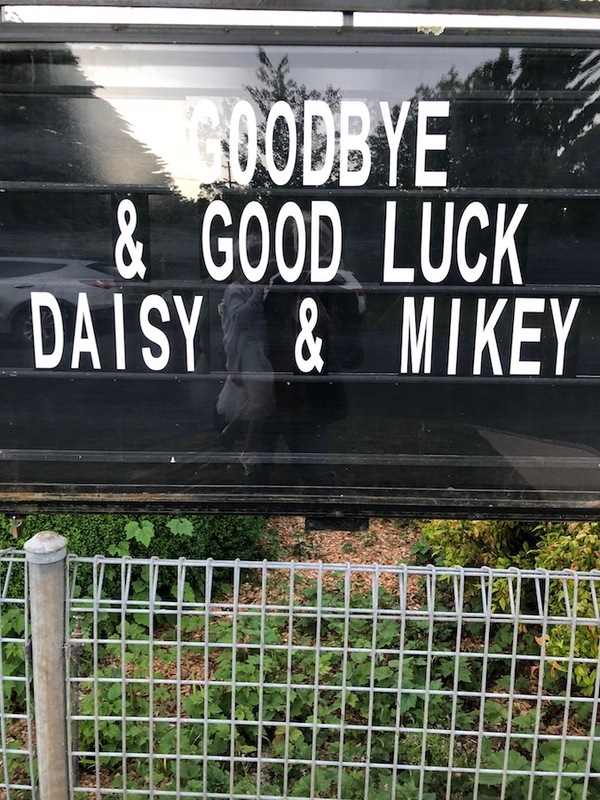 Don’t worry though – you probably won’t have to go through so much turmoil again until Daisy finishes Year 12, which was a really hard time for me. But of course, you have Harper and Mags so you’ll get better at endings and beginnings eventually! As a foster mum for over 20 years I have watched a few little ones start kindy. Now it is time to watch my only remaining “baby” that has been with us since she was 6 months old, go into year 11. How did the little girl in pigtails become this young lady that’s taller than me. I am a mixture of thrilled & terrified about her next two school years. 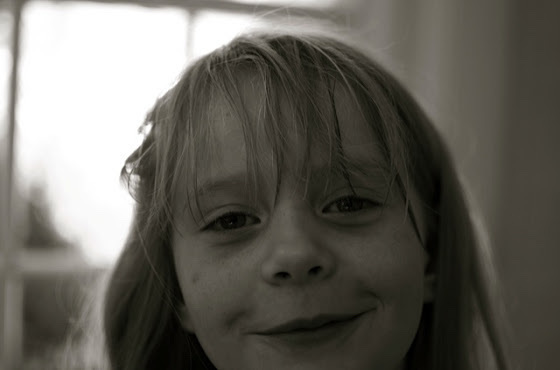 Daisy suddenly looks so grown up, where do the years go ? OMG Maggie looks so much like Daisy. The same thing happened to me two years ago but my country mouse girl went to uni!!! My tips are to keep the communication lines open, that is so important, she even had a friend that could talk to me. Sometimes you don’t want to know who’s doing what but be glad that they can confide in you, but never get involved in school yard emotions/arguments, years 9 and 10 are the worst, in my opinion. Try to keep a calm during the hormonal stages (both you and her LOL). If you can do canteen (somehow I still am 3 years later) or any voluntary roles at school so the teachers know you and are comfortable talking to you about any issues, not that there will be. Enjoy the ride as she spreads her wings and know that you and Rob have made the foundations of a beautiful young woman and now it’s her time (insert tears). And before myself and your followers know it Harper and Maggie will be in high school and we’ll be saying how the hell did that happen??? My brain can’t go there. Nuh-uh. My son just finished year 1 and I already feel like year 2 is so grown up haha. Wishing her (and you) the best for the next chapter! Also…hello…she’s future Maggie to look at OMG (but hopefully it will feel like much longer away before she’s in the same boat)!!!! Far out Beth! As many tears reading this post as at the year 6 farewell! Your first, my last, two amazing kids. Half of me says bring it on – I can’t wait to see what this beautiful boy of mine will become. The other half of me is a blubbering mess that is still seeing that tiny baby being taken away because he wasn’t breathing properly … one thing I know for sure, they will both fly high! and feed them all and all will be well in the world. All the very best Daisy, high school is waiting for you but always remember Mum & Dad are by your side through it all. On a side note, young Daisy & Mags are basically twins! It’s so overwhelming as you cross that threshold from primary to high school for the first time, but for most they fly and it’s amazing to watch. My second is still a year away from high school and we are so chill compared with last time. I think this time we will all be ready. If my guess is right her high school has a new principal from over here in the west. She’s a good one and such a champion of strong, capable and kind girls. Your Daisy is in good hands. i was going to write exactly what mrs woog wrote! My daughter started year 7 this year and it’s been a real roller coaster! I just want to say that I felt all the feels you described but was reluctant to talk to my girl about them because she was just so excited about what was ahead. I somehow thought that me talking about my fears about the big transition would rain on her parade. Anyway, the transition hit her like a freight train, boy was it tough and I regret not being more open with her about what it might be like. I don’t know if it would have made it easier, but it might have. So I just wanted to encourage you to keep up the great work, and keep talking. This has been my most challenging parenting year yet, but we got through it, we learnt heaps and it really has strengthened my relationship with my big girl. She knows 100% now that I am right beside her no matter what happens. You and Daisy have both got this! It’s a big deal – thank you for sharing this part of your parenting journey. I’ve done it three times and now as a parent of three wonderful adults I count my lucky stars for all the moments (good, bad, and the goddamn-ugly) that my hubby and I were around to celebrate, confiscate, and interrogate! Stay true to yourself and your values; thoroughly and deeply believe you are the best parents for your children; trust your gut; show up and share everyday – whatever you llook and feel like; and delight in the love (and plenty of shouting conversations you’ll have at a closed bedroom door) that will be returned to you in spades. Even when you feel like the spadeful has brought to your knees, know that this is love! Great advice – thanks Joanna! 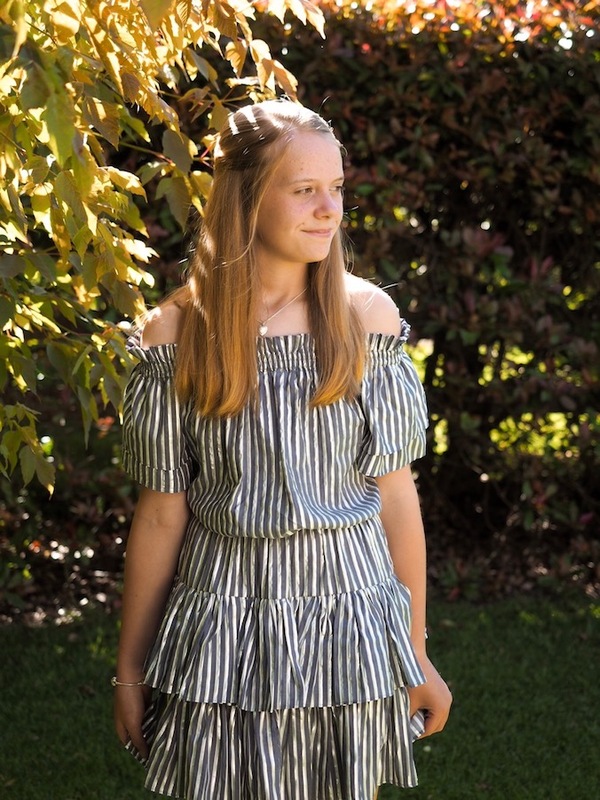 Daisy looks like such a lovely girl, you must be so proud and you’ve done a fantastic job and she will ease into yr 7 beautifully. The first few months can be interesting as they deal wth new friendships and settle in. Every stage is emotional I guess, my youngest has finished yr 12 and is just back from schoolies in Fiji – so happy he survived! And my eldest is moving away for her last year of uni, leaving that one stashed away in my emotional tissue box till after Christmas. I know it’s all going to go by so fast! We have just spent the weekend looking for a grade 6 graduation dress with no luck. They were either for a more grown up girl or not go large enough in the sizing. My daughter loves Daisy’s, can you tell us where you bought it please. SHE looks ready maaate! and we just do what we’ve always done – wing it! Our 1st borns OMG, everything just hits you right in ALL the feels – that post you wrote a while ago, rang so true to me. My 1st born just finished her 1st year of Uni – how?? Thank goodness for other children, is all I can say but now my 13yr old is taller than me, so they can all go and get directly stuffed!